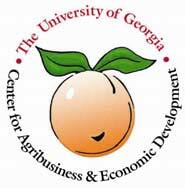 If Georgians produced all of the fruits and vegetables that they consumed, it could provide a way to close this utilization gap (the difference between state-wide production and consumption) of over $780 million per year. Even if this level can't be achieved, simply closing the gap in one commodity­lettuce, for example­could mean an additional $83.6 million of direct revenue to local producers. 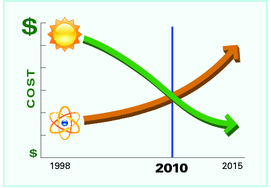 Solar photovoltaic system costs have fallen steadily for decades. They are projected to fall even farther over the next 10 years. Meanwhile, projected costs for construction of new nuclear plants have risen steadily over the last decade, and they continue to rise. In the past year, the lines have crossed in North Carolina. Electricity from new solar installations is now cheaper than electricity from proposed new nuclear plants. This new development has profound implications for North Carolina's energy and economic future. Each and every stakeholder in North Carolina's energy sector -- citizens, elected officials, solar power installers and manufacturers, and electric utilities -- should recognize this watershed moment. And North Carolina is north of Georgia, so Georgia should have more sun. Georgia Power Away from Coal? For years, solar and wind were described as unsuited for the South’s weather conditions and geography, although Georgia Power is now taking another look at them in this year’s version of it’s integrated-resource plan, a document it updates every three years. I suppose late is better than never. However, Georgia Power is turning more to nuclear and natural gas. But why is it turning away from coal at all? Stricter environmental regulations are also changing the economics of coal. Even without a “carbon tax” or “cap and trade” passing in Congress, the federal government is stepping up its existing authority over power plants. 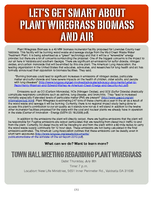 And an ongoing court case related to a proposed power plant owned by an independent company, Longleaf, could open the door in Georgia to regulation of carbon dioxide emissions. Any combination of those factors could lead regulators to force Georgia Power to shut down more of its older coal plants. 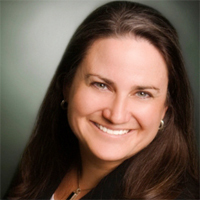 “The financial outlook for coal is grim,” Thompson said. People are finally wising up that coal is bad for us, and the company sees that affecting its bottom line. 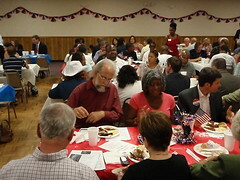 Every year the Lowndes County Democratic Party (LCDP) has a barbecue to which it invites candidates for public office. These include local candidates. Here we have the two Democrats running for Lowndes County Commission in District 2, in alphabetical order: Debra M. Franklin and John S. Quarterman. Notice the two candidates dining amicably side by side. This is interesting; it's apparently the same map you can get on paper from the Chamber of Commerce, online with zoom and pan of both sides. If you select directions, it sends you to google maps. When Juarez’s (soon to be outgoing) Mayor Jose Reyes-Ferriz visited Austin last April something he said stuck with me. He told the audience that a failure to invest in schools and other public infrastructure had led to the lawlessness in his city. Instead of schools and daycare centers, city leadership only invested in maquila parks and roads. Children were left on the streets to fend for themselves as their parents worked in the maquila factories for meager wages. "It's not enough to analyze it only in terms of public safety. You have serious gaps in the social and economic [areas] that have to be closed," said Antonio Vivanco, a Calderon advisor overseeing the development effort. Todos somos Juarez (We Are All Juarez). Several dozen residents of the Foxborough subdivision came to the Lowndes County Commission meeting Tuesday to again express their dismay at the possibility of having a McDonald’s fast food restaurant located by the neighborhood’s entrance. Resident Pete Candelaria said he has been living in Foxborough for six years and was speaking on behalf of the residents.